One of the things which made the original Star Wars trilogy the site of such intense fandom is that it created the sense of a universe that was bigger than just what we were seeing in the story. Through the details of different planets and aliens that we glimpsed it provided incredible scope for the imagination to run wild. It is this potential that Disney is trying to tap into with their Star Wars ‘anthology films’ – those films which are not classified as episodes of the central saga. Ron Howard’s Solo: A Star Wars Story is the second on these anthology films, after 2016’s Rogue One. While The Force Awakens was a massive success last year, becoming the third highest grossing film of all time, it is Gareth Edwards’ Rogue One that represents the first real test for Disney’s audacious plan for the franchise it took over in 2012. While being a rollicking fun ride, The Force Awakens was also a noticeably safe first step, with its heavy focus on nostalgia and unashamed recycling of story elements from the original trilogy. Rogue One, on the other hand, is the first of the stand-alone Star Wars films – stories from a long time ago in a galaxy far, far away which focus on characters outside of the central saga. Black screen. Blue lettering. “A long time ago in a galaxy far, far away…” and then BANG! With the blast of that iconic fanfare and the crawling text, we are once again away. 32 years after we saw Luke, Han and Leia finally defeat Darth Vader and the Empire in Return of the Jedi these iconic characters return to the big screen in Star Wars Episode VII: The Force Awakens. This most revered of franchises, now under the control of Disney, has been handed on from its creator, George Lucas, to writer-director J.J. Abrams. Abrams showed with Star Trek in 2009 that he has a gift for rebooting storied science-fiction franchises, but this is another level entirely. But faced with the near impossible burden of audience and industry expectations – this is, after all, a movie which anything less than becoming the highest grossing film of all time will seemingly be an underperformance – Abrams and his team have delivered. Do you want to know just how hot a streak Marvel Studios are on at the moment? They have taken a minor comic book series about a motley crew of space adventurers that includes, among others, a green woman, a talking raccoon and a walking tree and they’ve turned it into possibly the best sci-fi adventure movie in decades. Having been abducted from Earth as a child, Peter ‘Star Lord’ Quill travels the galaxy as a treasure hunter (read thief). Quill steals a mysterious orb, which turns out to be significantly more valuable, and dangerous, than he imagined. So he teams up with an assassin, Gamora, a pair of bounty hunters, Rocket and Groot, and the physically imposing Drax the Destroyer to sell it to the highest bidder. However, it just so happens that the orb contains one of the powerful Infinity Stones, and when it falls into the hands of the evil Ronan who plans to use it to destroy the galaxy, it falls to Quill and his rag tag bunch of misfits to save the day. Despite being around since 1969, the Guardians of the Galaxy comic book series is not exactly a household name. This means there are a lot of new characters, places and concepts that need to be introduced to the viewer in the first act of the movie. Amazingly, though, it doesn’t become exposition heavy. Refreshingly, the film doesn’t bother giving us complete backstories and origins for all of the characters. It doesn’t seek to answer all of our questions, but rather just to give us as much information as we need. As a result, Guardians of the Galaxy doesn’t take a while to warm up; it gets rolling at the beginning and keeps going until the end. Director James Gunn and his team have succeeded in making Guardians of the Galaxy completely different to The Avengers. After that first franchise was so successful, the temptation would have been there to copy that blueprint and import new characters and stories. But while there are minor narrative elements which connect Guardians of the Galaxy to the Avengers universe, and we will no doubt see a crossover film at some point in the future, Guardians of the Galaxy has a completely different style and tone. For starters, it is not a superhero movie. 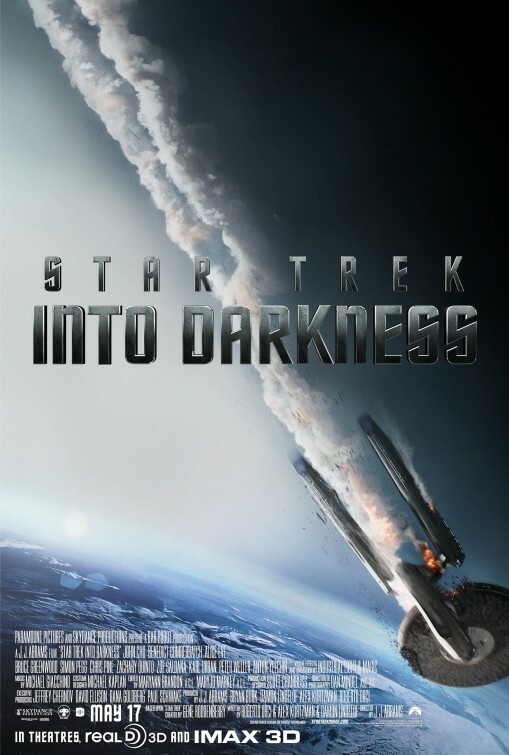 It is a 1980s-style science-fiction adventure movie much more akin to Star Wars. This eighties resonance comes from within the narrative. Quill was abducted from Earth as a child in 1988, and as such all his points of reference are from the eighties. Similarly, the film cleverly uses music from that era to set the tone. The only memento Quill has from his life on Earth is a Walkman with a mix-tape of seventies hits his mother made for him. That mix-tape – including tracks from 10CC, Blue Swede and David Bowie – serves as the soundtrack to the movie, and from the outset of the film it is really successful in creating a very different, fun vibe. 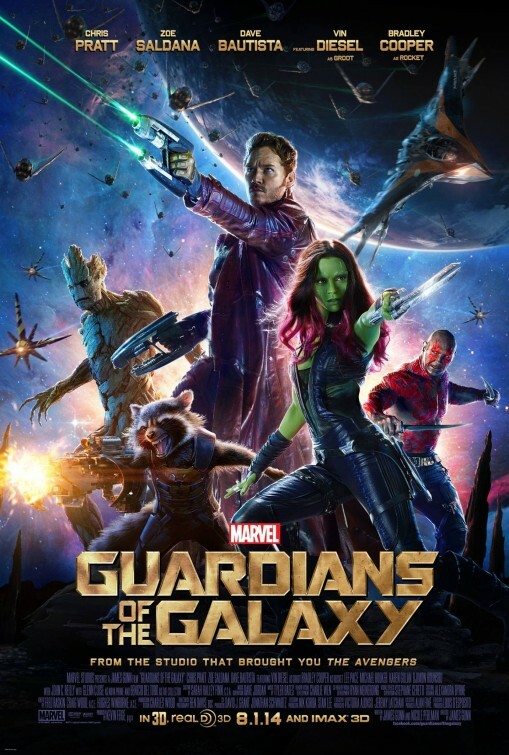 Guardians of the Galaxy is also far and away Marvel’s funniest film. The Avengers, and in particular Iron Man, have always had that wise-cracking element of humour, but this film takes it to the next level and is legitimately comedic. Gunn and Nicole Pearlman’s screenplay is so sharp. They have given each of the characters a unique voice and can therefore draw different types of humour from each of them. Chris Pratt is perfectly cast as Quill, bringing an irreverence to this mash up of Han Solo and Indiana Jones. It has potential to be a real star-making performance for Pratt, which could propel him from TV star to legit movie leading man. The CGI pairing of Rocket Raccoon and Groot, voiced by Cooper and Diesel respectively, were among the movie’s biggest question marks. But Rocket turns out to be a scene stealer and Groot, despite only being able to say “I am Groot” in different inflections, is used well to both comic and emotional effect. With Guardians of the Galaxy, Marvel Studios have given us the most exciting, fun and fresh blockbuster movie in years, maybe even decades. For those of us not old enough to have been there, this could be as close as we will get to knowing what it felt like to experience Star Wars for the first time back in 1977. Have you seen Guardians of the Galaxy? Leave a comment and let us know what you thought.